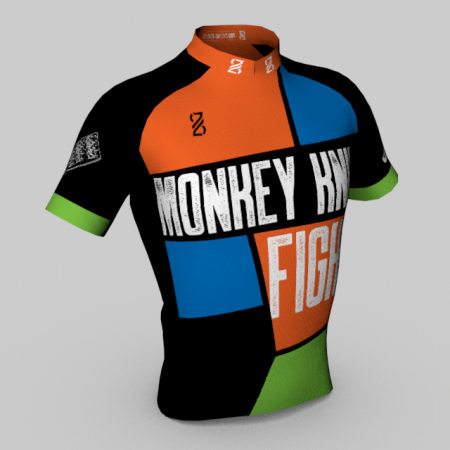 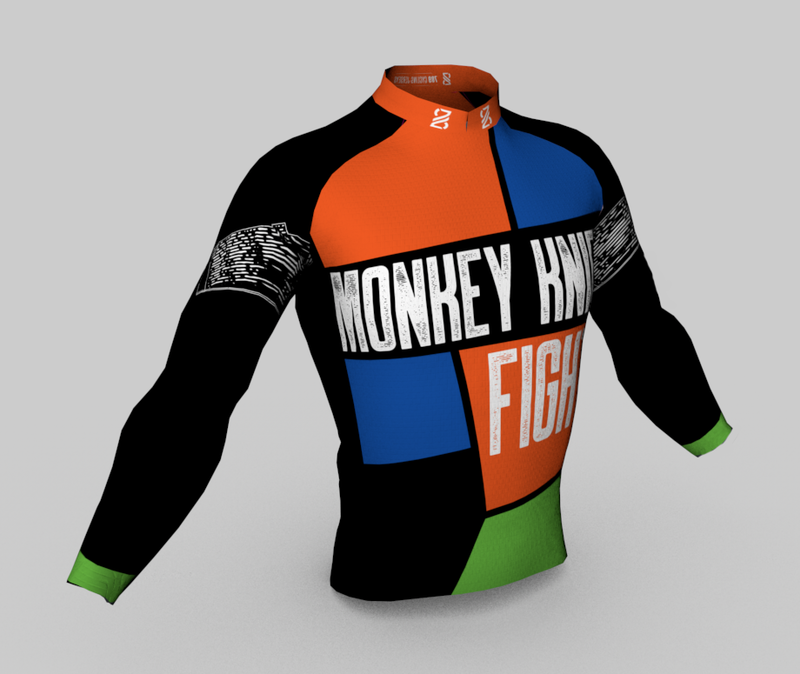 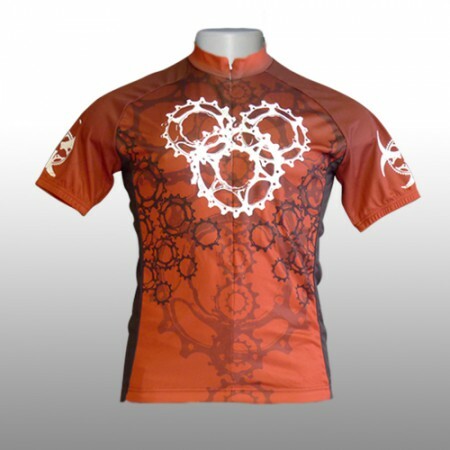 Here is the 2018 Monkey Knife Fight THERMAL LONG SLEEVE JERSEY! 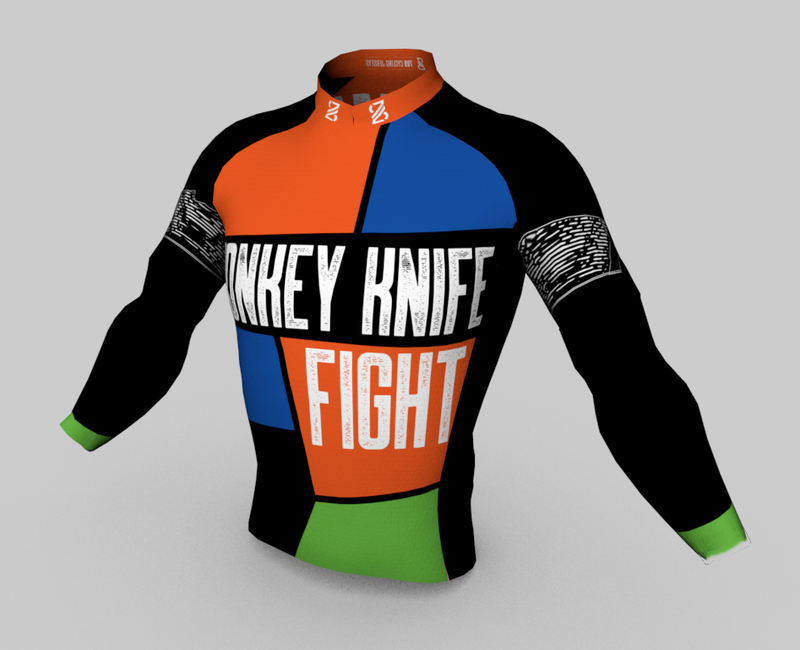 The 2018 Monkey Knife Fight commemorative thermal was an instant hit, even if the event day temps reached about 85 degrees! 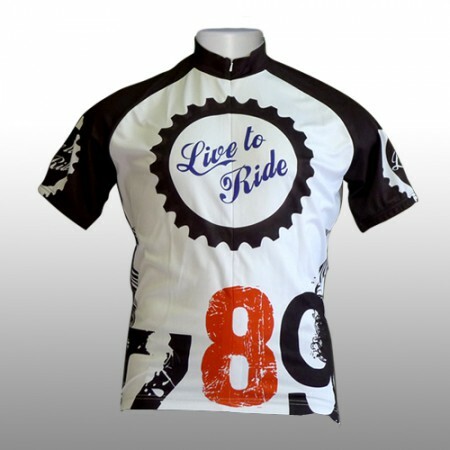 Extend your riding season with a new favorite piece of riding gear! 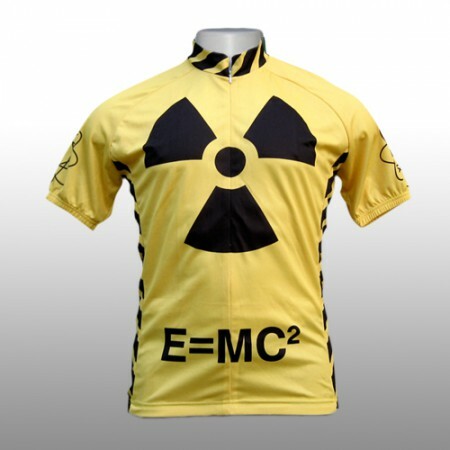 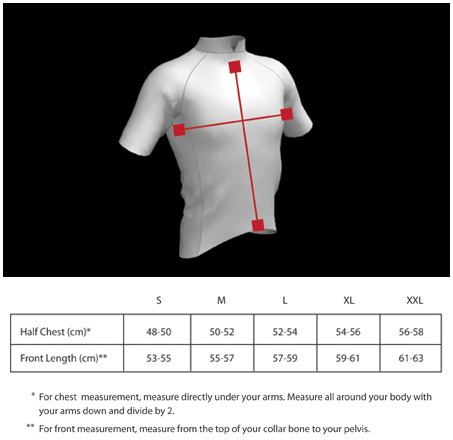 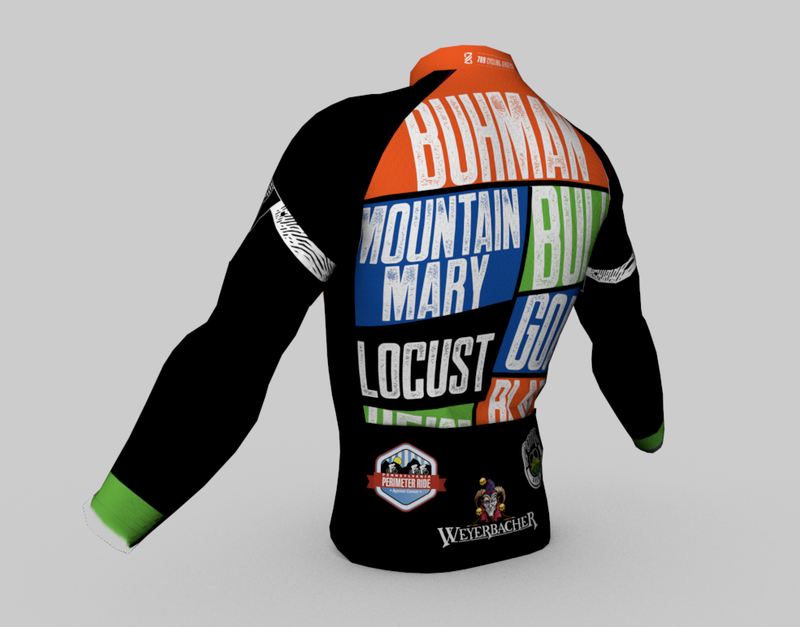 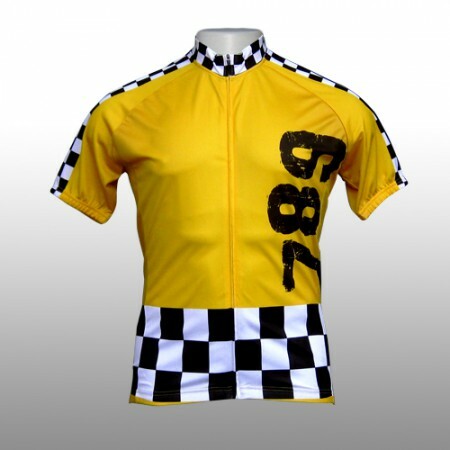 Please allow 3-5 weeks for delivery of this special order jersey.